The Hartford-West Hartford-East Hartford MSA is a six county metropolitan area located in central Connecticut. 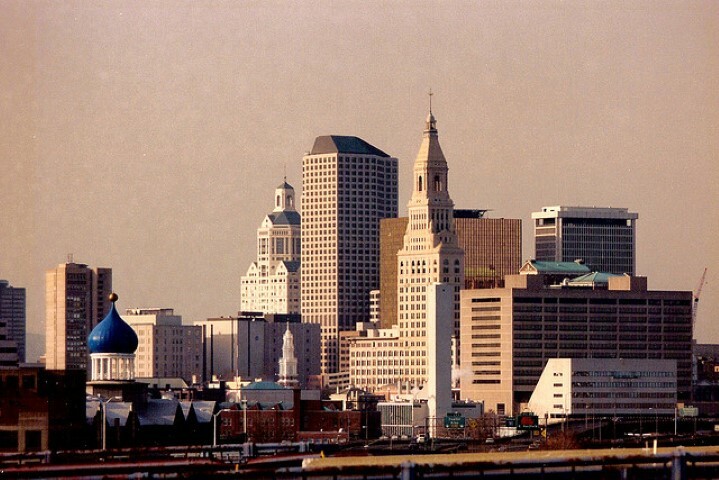 Hartford is one of the oldest cities in the country dating back to 1637. Throughout its history, it has been one of the richest and most productive cities in America. The metropolitan area of Hartford is in the top 10% of MSAs in economic production, and is in the top ten overall in per capita income. This has made the suburbs a popular destination for migrants and immigrants alike, and the increase of the overall population of the MSA can be attributed to the growth of the suburbs. The city of Hartford itself is one of the poorest cities in the country, but the MSA is ranked seventh in the nation for income per capita. Over 83% of jobs in the City of Hartford are held by commuters from the suburbs. The large majority of the foreign-born population within Hartford city proper is Latino at over seventy-three percent, where as there are large Asian and European immigrant populations spread around the suburbs. The greater Hartford metropolitan area has the third largest Polish population, as well as the fourth largest Serbian population in the United States. Hartford also has the fifth largest Jamaican population in the United States. Hartford county has approximately twenty-eight percent of the foreign-born residents of the entire state of Connecticut living there. The University of Connecticut, which is located in the greater Hartford metro area, has over two thousand international students attending annually. Over half of these students come from China, India, and South Korea. Historically, Hartford's immigrant population was primarily European. Today the city of Hartford itself does not have many European immigrants, but there is a large Europeans population located in the surrounding suburbs. The greater Hartford area has one of the largest Polish populations in the country, many of which are located to the southwest of the city in the town of New Britain. There are also other European immigrants scattered throughout the suburbs including large Italian, French, and German populations. The city of Hartford proper has a rather large Latino population, which accounts for three-quarters of the total foreign-born population. The Jamaican population is one of the largest in the metro area, and the city also has other significant Central America populations such as Dominican, Colombian, and Honduran. The Asian population that can be found throughout the suburbs has grown rapidly in the past couple of decades. Significant southeast and south Asian populations have grown in the area, with many Vietnamese, Gujarati, and Hindi immigrants drawn by the thriving suburbs of Hartford. Displaying 1-25 of 37 results.